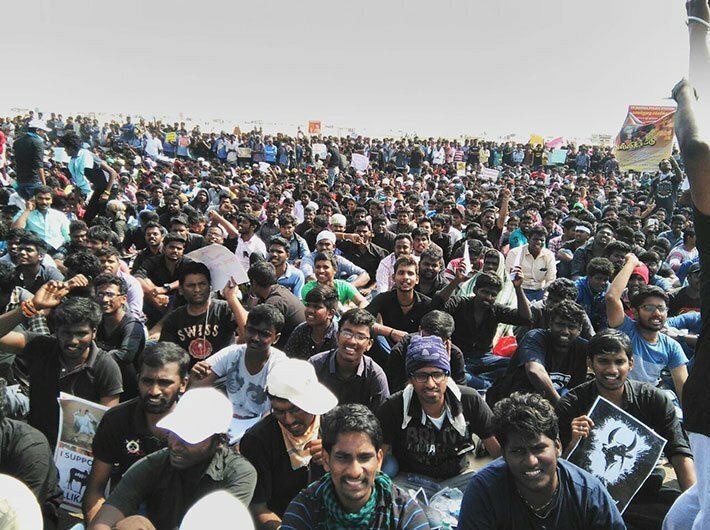 Thousands of youth continue to gather at Chennai’s Marina beach in support of jallikattu, a traditional bull taming sport, in Tamil Nadu. So far which looked like a students’ movement, is emerging as a mass movement including professionals. 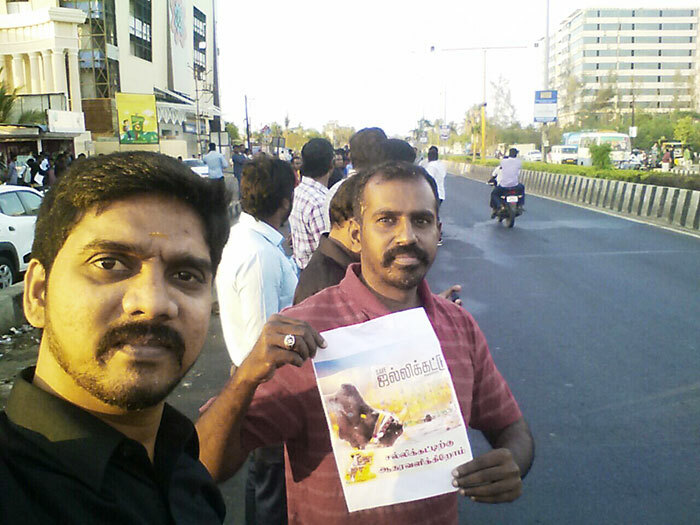 People from all sections are coming out in support of jallikattu. Agitation seems to be growing with every passing day. 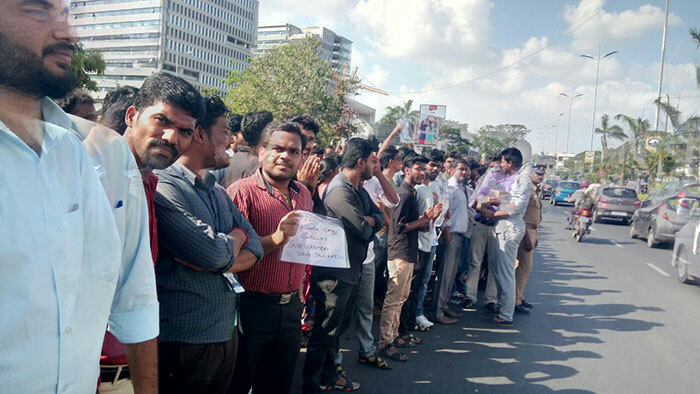 “We have come out to the streets to safeguard our culture,” says Dinesh, an IT professional who joined the protest after office hours. “We have asked political parties to keep away from the issue since they would try to take political gains from it,” says Selvaraj, a student. DMK workers held a ‘rail roko’ protest earlier in the day. MK Stalin, party leader, was taken into preventive custody for a brief period for halting a train during the party’s state-wide railway block, before being released. Auto-rickshaws with attached black flags saying “we want jallikattu” were seen on the streets all day. In order to prevent further unrest in the state, supreme court has agreed to not pass any interim order for a week on jallikattu. 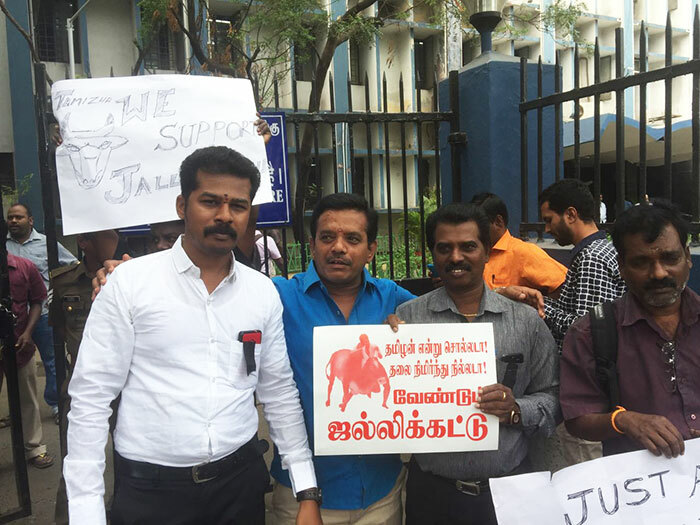 Attorney general Mukul Rohatgi had mentioned before the CJI court that jallikattu judgment should be deferred till next week as union and state governments are trying to solve the issue. A Marx writer and activist who participated in the agitation, says, “It is also turning out to be a movement against the centre and prime minister Narendra Modi. In Puducherry at least five effigies of Modi were burnt by people supporting jallikattu”. Earlier in the day, Tamil Nadu chief minister O Panneerselvam had said that a draft ordinance seeking an amendment to the Prevention of Cruelty to Animals Act, 1960 has been sent to the ministry of home affairs (MHA), urging protesters to withdraw from Marina beach. “Tamil Nadu government has sent a draft of the amendment to MHA this morning. I believe draft will be approved in one or two days which will pave the way for jallikattu,” said Panneerselvam to news agencies.